P was employed by the Hong Kong Government as a general worker. P worked in a team of nine workers in a police station in Kowloon and was responsible for cleaning, moving equipment and serving food and drinks. D1 was the publisher of the Apple Daily (the “Newspaper”). D2 was the Newspaper printer. D3 was the editor of the Newspaper and D4 was the reporter who wrote the article in question (the “Article”). In May 2008, D1 published the Article, reporting that a female civil servant attached to the police force was discovered to have stolen stationery from the police station and was given a verbal warning; it was suspected she frequently stole cleaning materials and tools from there and used them at dessert shops she operated; she was accused of frequently leaving her workplace which caused people to gossip or be discontent; and despite complaints to her superior, no action had been taken and it was suspected that someone covered for her. The Article did not name P, but gave the age and work period of the female civil servant. Prior to the publication of the Article, D4 had informed the police that P had been accused of stealing the items in question. Consequently, P and others in her team were interviewed by the police and P was cleared of any misconduct. P claimed that she was the person referred to in the Article; that after it was published, her colleagues had approached her and asked what had happened; and she had suffered from depression as a result. 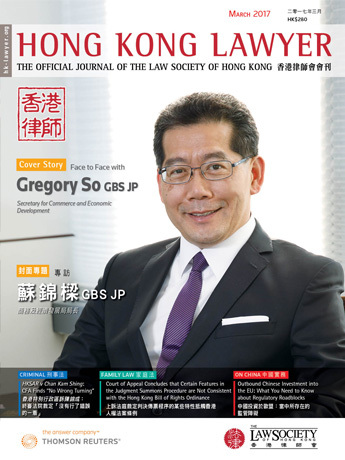 The Judge allowed P’s claim for defamation and ordered Ds to pay general damages of HK$700,000. Ds appealed on the quantum of the award. The Judge’s assessment that there were a few hundred people who would be able to draw a link between P and the person referred to in the Article was not supported by evidence. There was no evidence that every one of the two to three hundred workers in the police station would have read the Article and those who read it had the requisite knowledge to link it to P. She was not a celebrity or a well-known figure in her community. A more realistic assessment of those readers who would be able to draw the link would be a few tens and not a few hundred. This was a “plainly wrong” situation where the Court of Appeal was entitled to interfere. The Court was not prepared to accede to Ds’ request to discount the general damages award to reflect the uncertainty over the causal connection between the Article and the psychiatric injuries P suffered. There was no evidence on the respective impact of the police investigation of P and the publication of the Article on her psychiatric illness. In the absence of such evidence, the Court would go into a realm of speculation as to whether the police interview had partially caused P’s psychiatric illness.